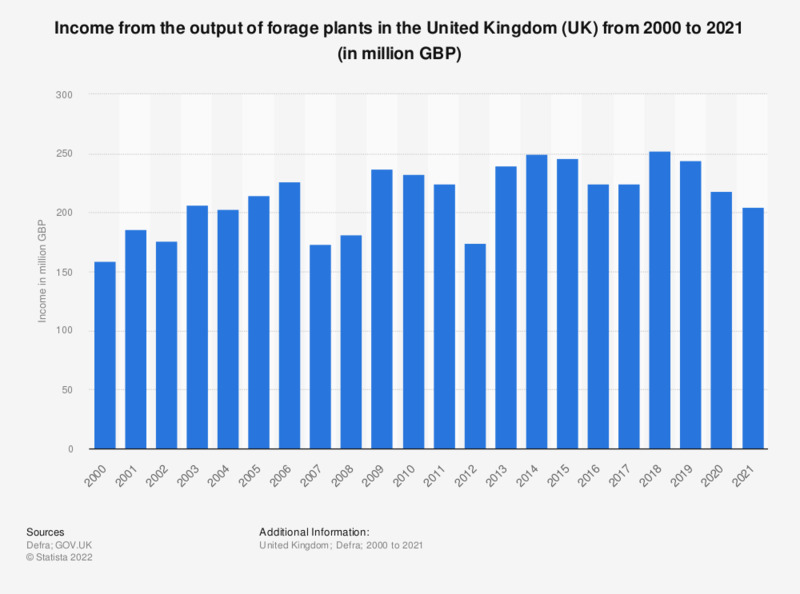 This statistic shows the total income from the output of forage plants in the United Kingdom from 2000 to 2017. Despite some fluctuation over the period, output generally rose between 2000 and 2017. In 2017, output of forage plants peaked at 288 million British pounds. Figures taken from accounts for the aggregate income of the UK agricultural sector and are based on current prices. Statistics on "Organic farming in the U.S."